As can be seen from the definition above, the name does refer to an “adversary of God,” but in more of a legal sense than is generally supposed. Look in the Bible for an evil Satan, and you’ll find nothing explicit. I know. I checked. In fact Satan is more of a prosecuting attorney — a D.A., if you will. The Greek translation of Satan was Diabolos, which means “one who speaks against,” supporting the prosecuting attorney idea. (It would be talking in circles to say that Satan plays the devil’s advocate.) Eventually Diabolos was worn down until it finally reached Old English as Deofol (pronounced roughly “day of all” if you say it really fast with a western England accent), and this is our word Devil. William Golding wrote a novel with a similar title, but I prefer the play by Sartre, Les Mouches, or “The Flies,” which seems to identify the Greek god Zeus with a lord of flies. Just a personal preference. In Greek, Baal-zebub was spelled Beelzebub, because the Greeks didn't like to do anything the way someone else did it. *Note on Elroy: I have recently learned that there was, among the various Canaanite-Hebrew gods named El-something, one named El-roʼi. Coincidence? The planet Venus is often called the “morning star.” Usually this is because it has been spotted early in the morning and mistaken for a star; though of course there have been exceptions. 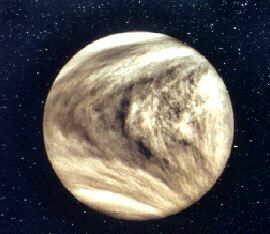 Since ancient times Venus has been given names of varying significance (ranging, in fact, from Inanna “sky-mother” to Aurvandill “sea-wanderer”) and most of these names have been, among other things, shared by mythical figures or deities. In other words, the planet was semi-personified or deified in these various identities. In Latin, it received the name Lucifer, “bearer of light,” suggesting the old, apparently widespread myth that it was actually a demigod bringing light to the twilit world. 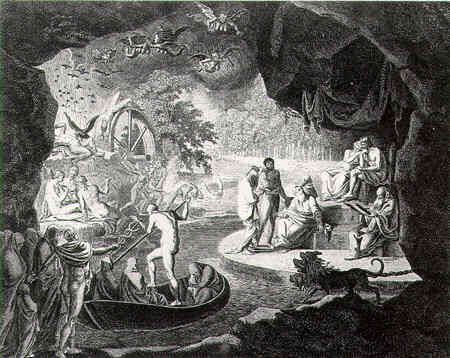 By the time the Bible was translated into Latin, Lucifer was a fairly common way of referring to the planet. There is a passage in the book of Isaiah in which it was so used, and by coincidence this passage was interpreted (incorrectly) as referring to Satan. It is difficult to see why until you read the passage. Hebrew for “grave.” Most people, at least when they die, are still buried eventually. So the grave, under the earth, is where they go after they die. The general Germanic Norse goddess of the Underworld or the Otherworld (depending on your opinion of the geography of the universe), she has never really been evil. She looked after and guarded the departed souls, and only the Valkyries were allowed to come and choose certain ones to be honored with a change of address, to Valhalla, the hall of Odhinn in the dwelling place of the Aesir, or gods. How Queen Hel felt about this is unfortunately no longer on record. Italian for “conflagration.” Dante Alighieri evidently expected to find one (or possibly to start one?) once he passed on. Maybe he did — who can say?— but that doesn't necessarily mean that anyone else can expect to. Interestingly enough, the Latin original of this word, Infernum, was adapted in adopted into Welsh as Uffern, pronounced “IFF-ehrn.” The medieval Welsh apparently expected the underworld to be a land entirely of, strangely enough, ice! So you see, Hell already froze over, and a long time ago at that. In the valley of Hinnom, near Jerusalem, it is purported that in ancient times children were sacrificed. (Why they were sacrificed I do not know.) Consequently, the valley became known as an unholy, filthy sort of place. The Hebrew for ”valley of Hinnom“ is geʼ hinnom, which becomes Gehenna in Greek Latin. The hill of Megiddo underwent the same general process as the valley of Hinnom. Hebrew har meghiddon “hill of Megiddo” became Armageddon in Greek. The hill was in the plain of Megiddo in Esdraelon, which was the site of so many battles that it became proverbial for the site of a decisive battle. Since the battle on Judgment Day was expected to be the most decisive of all time (despite the fact that everyone thought they already knew what the outcome would be), it naturally was required to take place on this proverbially important site.